What Are the Best Features and Accessories to Keep Your Loved One Safe in Their Motorized Wheelchair? A motorized wheelchair can help your elderly loved one to regain some independence because it helps her to be more mobile. Having the right features and accessories can give you tremendous peace of mind regarding her safety. Depending on the activities that your loved one enjoys and her other needs, there are a variety of different types of bags, trays, and holders that might work for her. All of these help to keep your loved one’s hands free so that she can focus on operating her wheelchair. Some, such as oxygen tank holders or cane holders, hold equipment for her so that she doesn’t have to deal with it unless she needs to. Tilting and reclining features on your loved one’s motorized wheelchair can serve a variety of purposes. 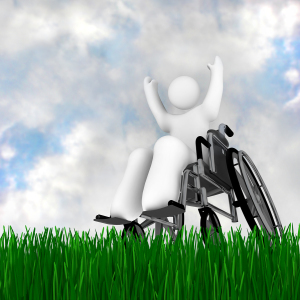 The important aspect is that the features are easy for both you and your loved one to manage both manually and through the wheelchair’s motor. Your loved one’s chair should also have supports behind her legs to help make sure that her lower legs don’t fall backward if she’s in the reclined state. Motorized wheelchairs have come a long way and one of the more advanced features involves joystick controls that have smart functioning added. First, the joystick is easy for your loved one to manage even if she has difficulty with her hands. Second, the joystick programming can “learn” your loved one’s usage and compensate speed and directional actions so that she’s not moving too quickly or in a zig zag fashion. If your elderly loved one spends a great deal of her time in her motorized wheelchair, it’s essential that she’s able to be comfortable. One big way to ensure this is for the chair to have a variety of adjustable cushions and backrests so that your loved one can change them as needed. Look for gel or foam cushions that can serve a variety of functions for your loved one while in her chair. Get help from your loved one’s doctors and homecare providers to help you master using your loved one’s motorized wheelchair. For Homecare Services in Collierville TN, please contact the caring staff at Personal Care Services MidSouth today! This entry was posted in Homecare Collierville TN and tagged Homecare Collierville TN. Bookmark the permalink.